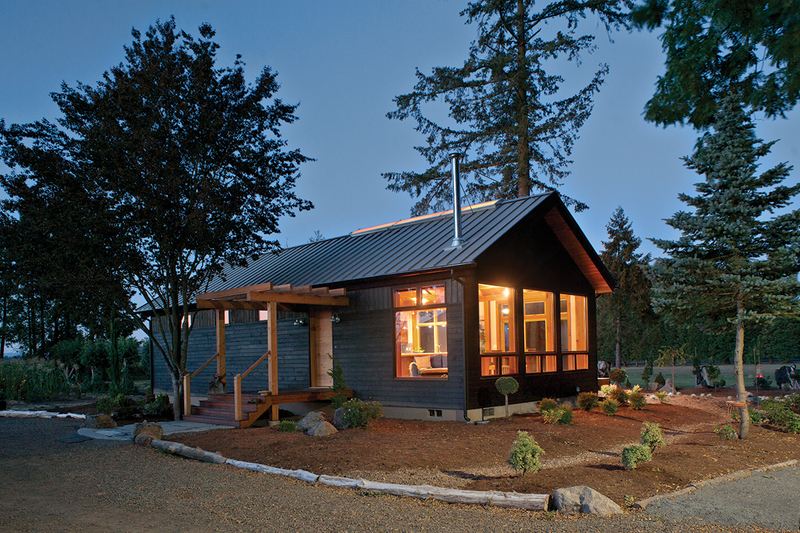 Shou Sugi Ban Deep Char exterior siding on a home in Dayton, OR. Photo by Loren Nelson. 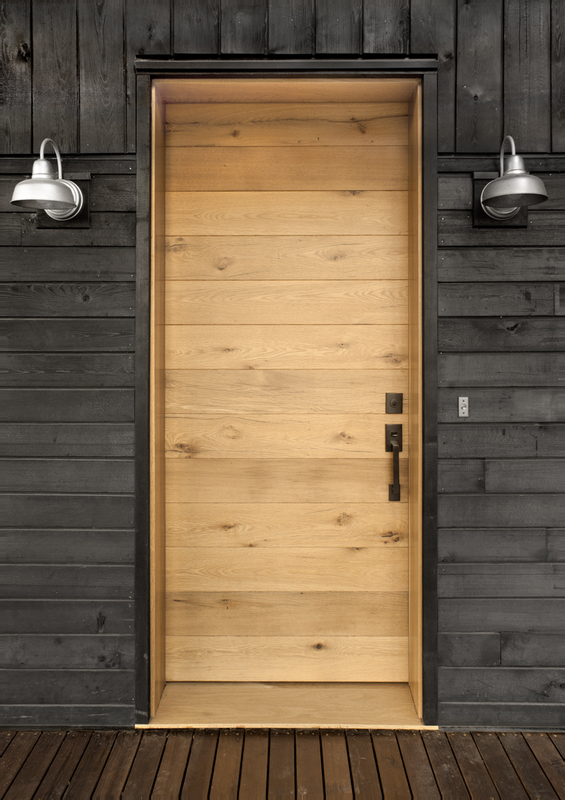 Shou Sugi Ban Deep Char exterior paneling paired with an American Gothic Mixed Oak reclaimed wood door. Photo by Loren Nelson. 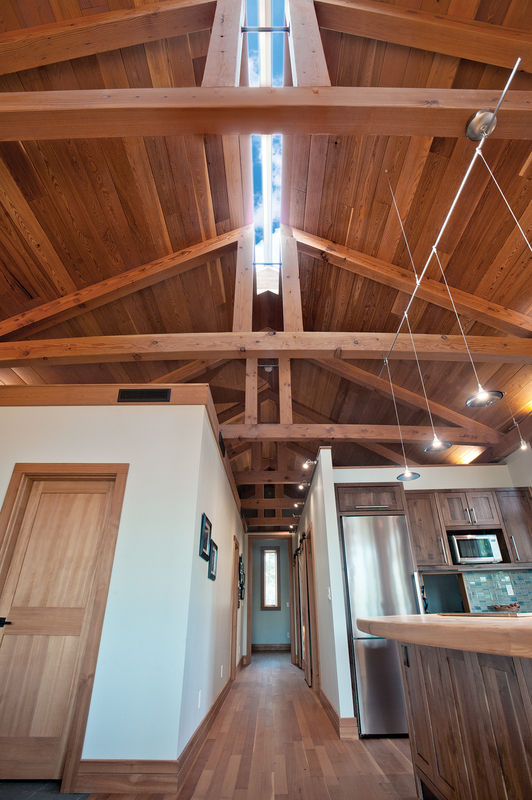 Douglas fir c-select vertical grain reclaimed wood flooring and ridgeline skylight in a home in Dayton, OR. Photo by Loren Nelson. 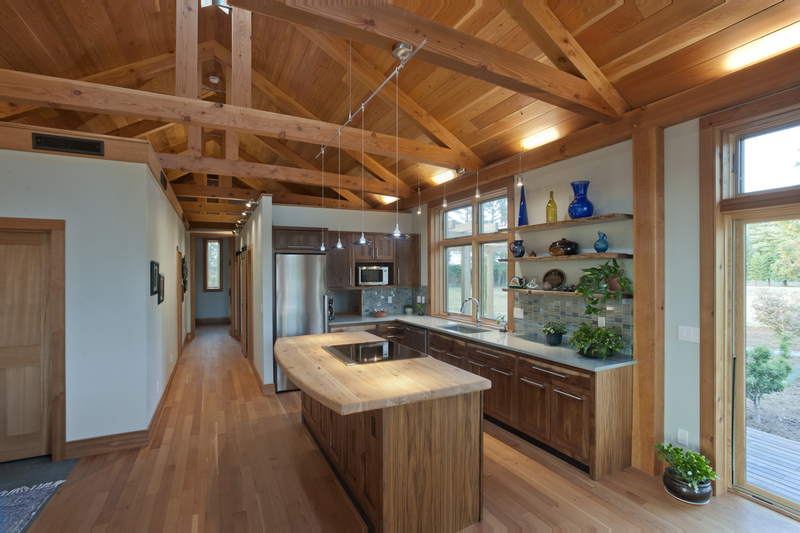 Douglas fir c-select vertical grain flooring and American Gothic reclaimed wood kitchen cabinets. Photo by Loren Nelson. 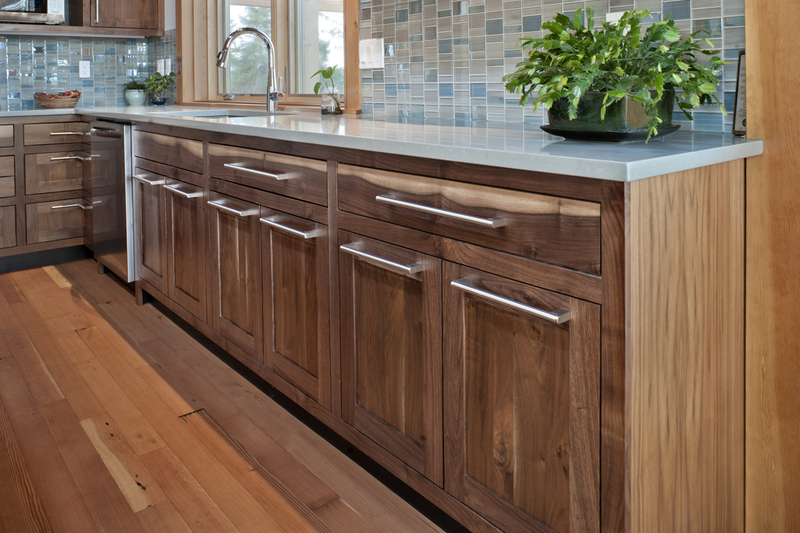 American Gothic Walnut reclaimed wood kitchen cabinets. Photo by Loren Nelson. 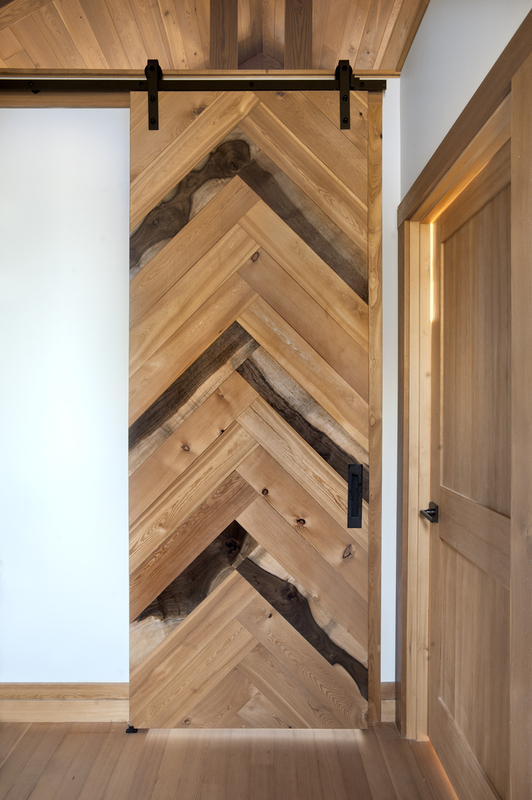 Pioneer Millworks American Gothic Mixed Oak reclaimed wood door. Photo by Loren Nelson. This "small but perfect" project is affectionately referred to as the NEW Jewel. 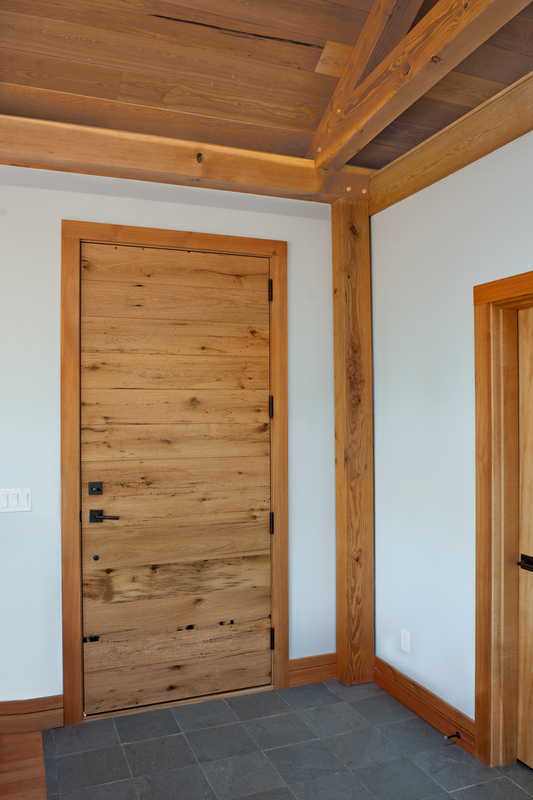 At just over 1,000 square feet this gem of a home features multiple reclaimed and sustainable wood products as well as design and timber framing work from our sister company, New Energy Works. 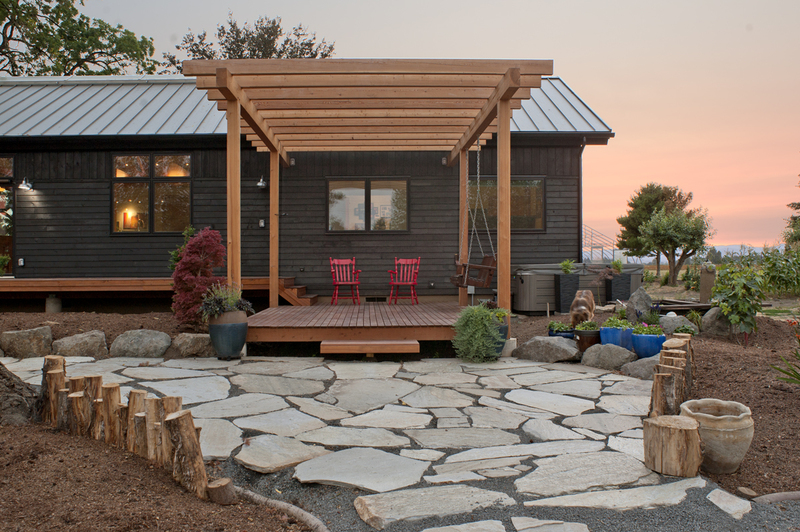 To read more about the design of this project, check out our interview with the homeowners.